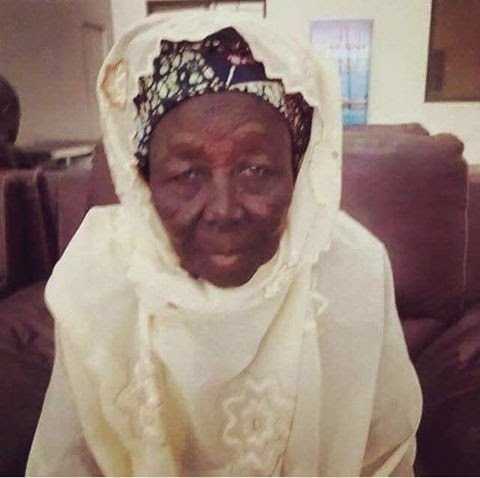 Meet this 90-year-old woman named Hajia Fadimatu Mai Talle Tara who reportedly waited 9 hours for the presidential candidate of the All Progressives Congress, Maj.-Gen. Muhammadu Buhari to come to Birnin Kebbi, capital of Kebbi State, for his rally and donated 1 million Naira, her life savings for his campaign. Buhari was so moved by her kind gesture that he shed tears, according to Babangida Ruma, a key member of late President Umar Musa Yar’adua K34 group. Mr. Buhari who was in Kebbi last week initially refused to accept the old woman’s donation out of sympathy, but she compelled him to accept it.